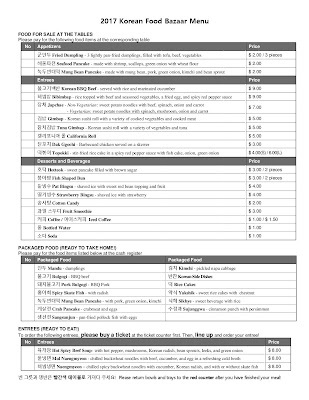 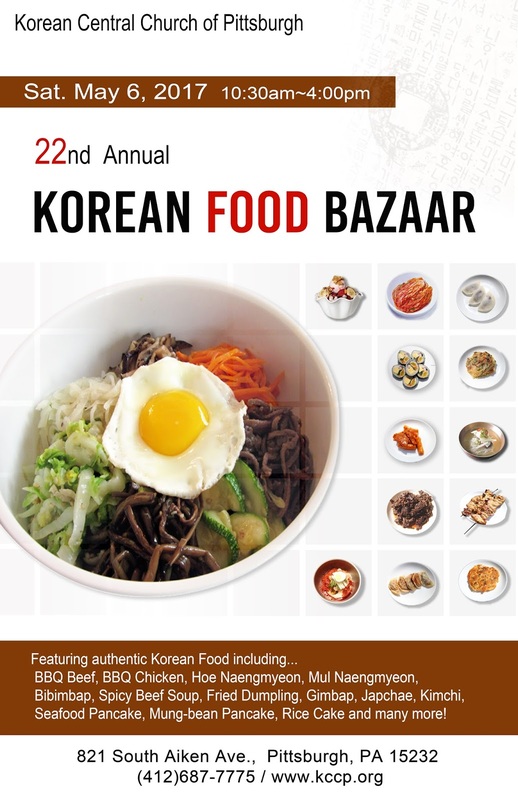 PennsylvAsia: Menu and flyer for 2017 Korean Food Bazaar (제22회 선교바자회), May 6 in Shadyside. Menu and flyer for 2017 Korean Food Bazaar (제22회 선교바자회), May 6 in Shadyside. 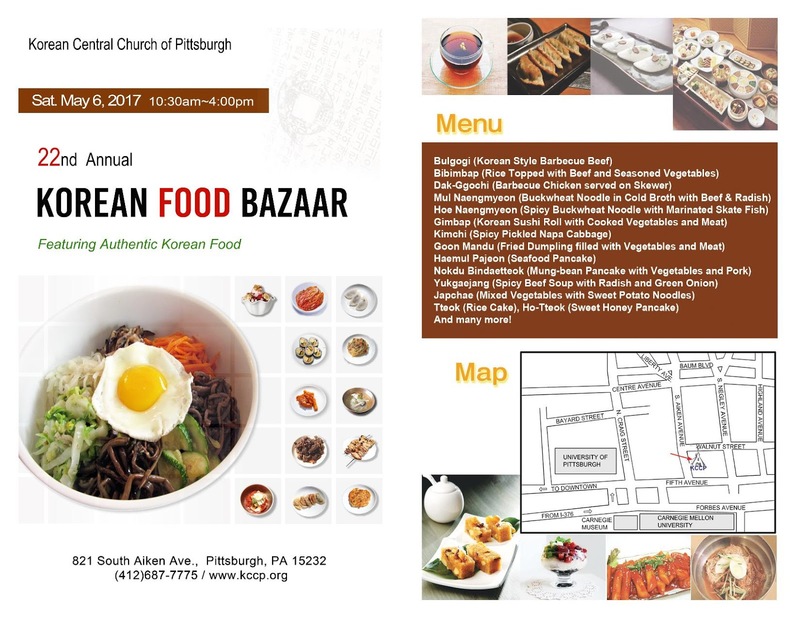 In late-March the Korean Central Church of Pittsburgh announced its 2017 Korean Food Bazaar (제22회 선교바자회). 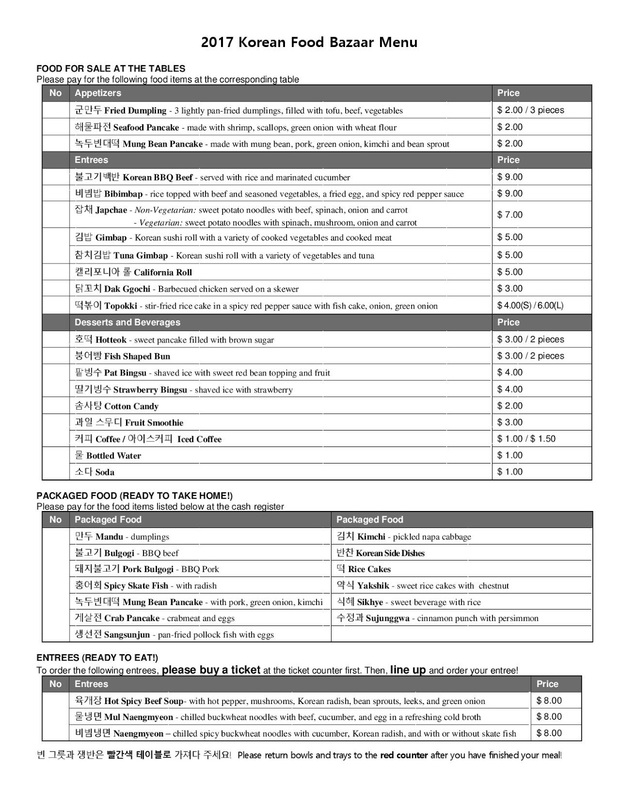 Today there is a flyer and menu. 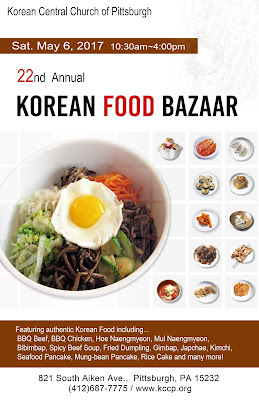 The highly-anticipated annual Korean food festival is in its 22nd year, and is held at 821 S. Aiken Ave. in Shadyside (map).